John Faulkner is the owner of Monon Property Group and the listed host for The Monon Belle. Please feel free to contact him via email with any questions, comments or inquiries. The Monon Property Group welcomes investor interest from prospective partners who share the goal of seeing Greencastle become the next great college town in Indiana (or America, for that matter!). Over the past ten years Greencastle Indiana and DePauw University partnered to secure a significant grant from the state of Indiana, which was used to rehabilitate the infrastructure and enhance the streetscape of Greencastle's historic downtown business district. This initial funding has attracted additional private investment, which has significantly enhanced the cultural life of the community. Please take a moment to browse descriptions and information pertaining to our rental property, prior reviews, verified contact information and our host profile at Airbnb. 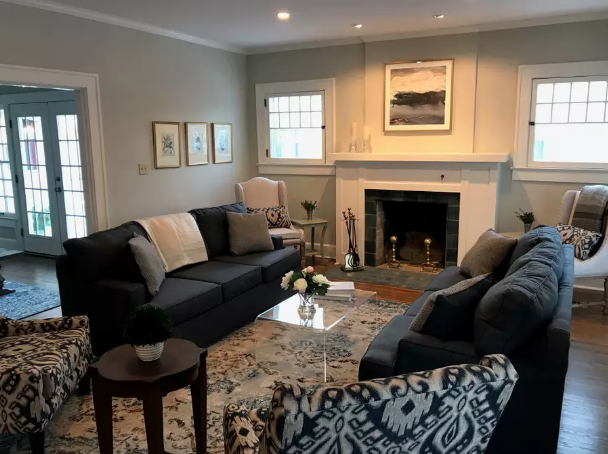 This charming property was purchased and renovated in 2017 and is now available for rent through AirBnb. This home is perfect for a short or long term visit to the Greencastle area.